All competitions conducted one day one place for your convenience. Winners who win 1st prize in any three categories will be awarded as “Champions of the Inter -state Level Competition 2019” Award. This is open to all, we wish you to share this to all your near and dear ones, we are sure that you will make this competition grand success again. 01:30 Pm to 03:00 Pm: – Drawing, Essay Writing, Hand Writing, personal talents. * Hand writing paragraph will be given. Registration fee is Rs.300/- per event. Please note that this is quite important for us to track the participant in a particular event. Spot entries /after last date entries are strictly not allowed/entertained. Songs and karaoke must be in single CD to save time. Keep Songs and karaoke in another CD to stand by. Participant can participate more than one event. Participant should bring any age identity proof. 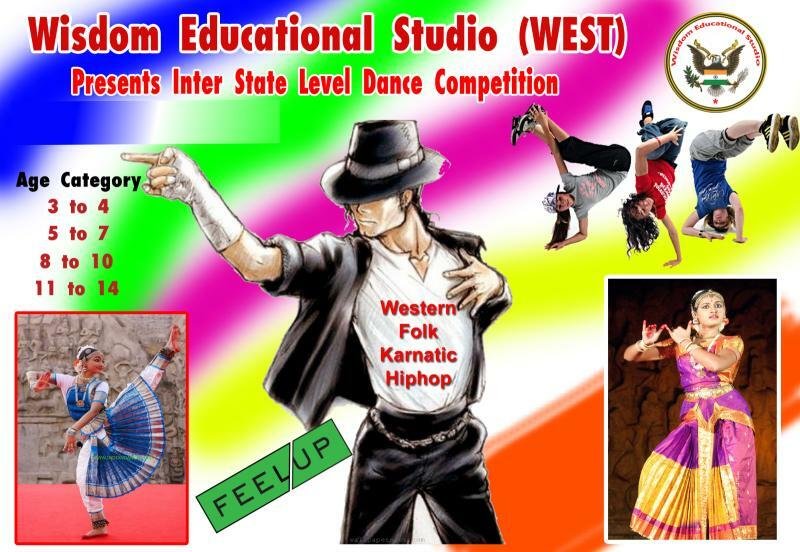 Participants should bring all event related things like fancy dress, pencil, Eraser, Yoga mat, Cd’s Etc. For drawing event A4 size chart will be given. Participants will be allowed to perform the events in the registration order wise. Prizes will be distributed at the end of each event. Wisdom Educational Studio reserves the right to admit or refuse any entry without assigning any reason thereof and also to cancel/alter any modifications on all events. The allotted time for every event may vary more or less by participants. Judges/Organizer’s decision is final and binding on all participants. Registration fee will be refundable only if Wisdom Educational Studio cancelled the event due to unavoidable circumstances. 1. Food court, Shopping & Games are available for participants, visitors & parents.